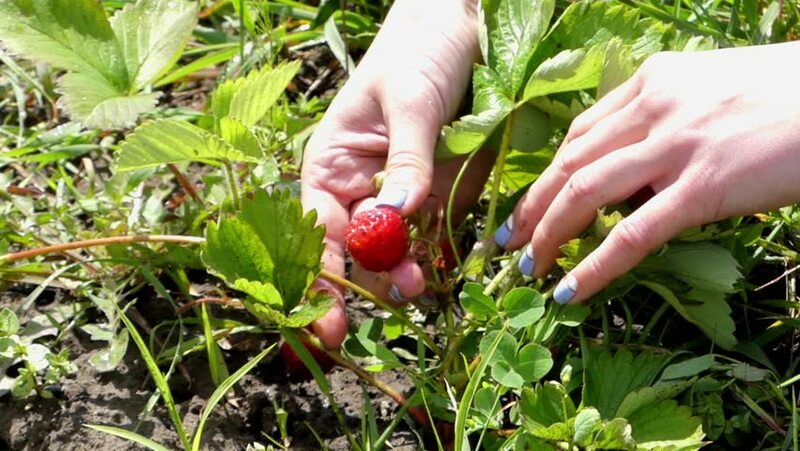 Collecting the Red Strawberries on the Field. Frame Closeup. the Action in Real Time. hd00:12Collecting the Red Strawberries on the Field. Frame Closeup. the Action in Real Time. hd00:08A Man Plucked A Raspberry From A Bush. Some Berries Are Not Ripe Yet.